Like any other part of your home including sofa or carpet, a mattress is also of great importance as it accumulates a huge amount of dead skin flakes, dust mites and its waste as well as other debris and allergens. Experience of more than a decade, has shown the Clean Experts with the fact that cleaning a mattress, by a professional cleaner, in duration of 12 months is necessary. This will help to get rid of dirt, bed bugs, and dust mites. The professional mattress cleaning services in London deal with a thorough cleaning, water damage restoration as well as sanitization of your mattress and in result giving a comfortable sleep time. Mattress stains can easily be removed with no marks left behind, if they are treated well. This needs to select the chemicals according to the condition and the type of material, specifically the types of stains like liquid, urine, soft or hard drink etc. Our mattress cleaning services are available on a short notice and with guaranteed results. If you really want to make you’re bedding look and smell great, call us now. Clean Expert is a company that operates in the capital since many years now. We pride ourselves with a great list of regular customers – both home and business owners. For all of them we are able to offer many professional cleaning services, including carpet cleaning and also upholstery cleaning. There is no bigger job than our field of expertise. For any area of your home or office we will provide you with a team that specialised in any cleaning task – from your domestic or commercial carpets to your car upholstery. We manage to meet all our client’s needs thanks to the great teams of professionals we work with. They are fully trained, skillful and equipped with advanced cleaning tools and machines. In order to provide fantastic results in any cleaning job, they use expert cleaning detergents. Clean Expert is also available to offer you a eco-friendly mattress cleaning service in London provided with non-toxic and organic cleaning products. Just contact us right away and ask our service technicians for the many benefits we can offer. Clean Expert is a local based cleaning company which gives us the chance to provide you with emergency mattress cleaning service in London. You can book us on a short notice or even for a same day service. We are a well-known brand name in the cleaning industry in the town with many years of experience in the branche. Our London mattress cleaners are fully vetted and insured so you can trust them with your property and have complete peace of mind when leaving them alone in your home. All the teams we work with are not only equipped with first-class cleaning technologies, they are complete professionals and will be glad to help you with any additional information. If you have any questions on how to keep the clean and perfect condition of your mattresses, just ask them. They will provide you with expert tips on how to post-service treat your entire home. We are available for both sectors – domestic and commercial, our customers are estate agencies, business owners, landlords, tenants and housekeepers. Our services are available for booking 24/7. Whenever you call us or contact us via our friendly booking form, we will be happy to support you with any details you need and to help you making an appointment. For booking more than one service, you can get a special deal from us. So don’t hesitate to contact us any time you desire. 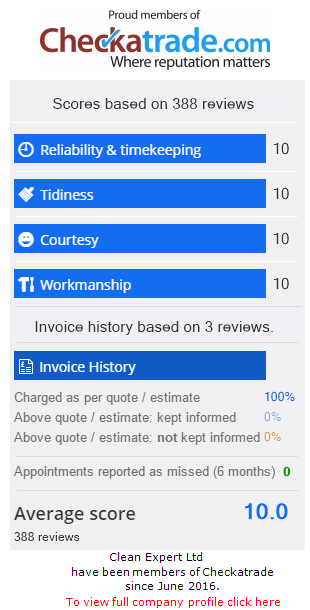 Booking a service with Clean Expert is easy and hassle-free! We are available on 074 6722 2537 or 020 3713 7718 in the most convenient time for you. We offer our mattress cleaning services in London on flexible booking slots, so you can take advantage of our professionalism and cleaning excellence according to your busy schedule. For more information about the team, our work or how we provide our services, you can also use our friendly booking form and get a free quote.